You might be surprised, but a lot of people actually take their passport photos themselves. 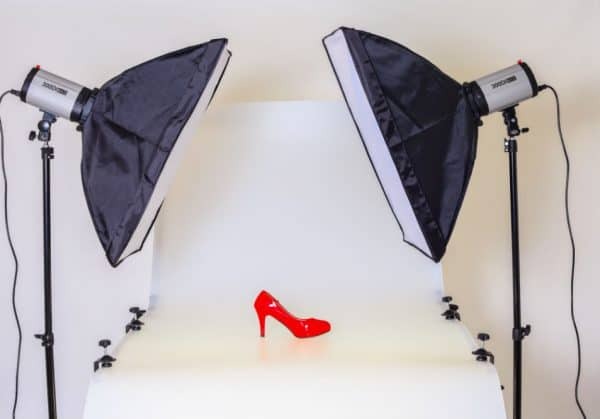 They believe that getting their photos taken in a studio isn’t well worth the spend. Why go this route when you can do it by yourself? If you have a camera, the next step is for you to know how to take a passport photo with digital camera in 2019 (and beyond). It isn’t as complicated as it sounds, especially if you have basic experience in photography. If you really want to maximize the use of your digital camera, these tips are for you. 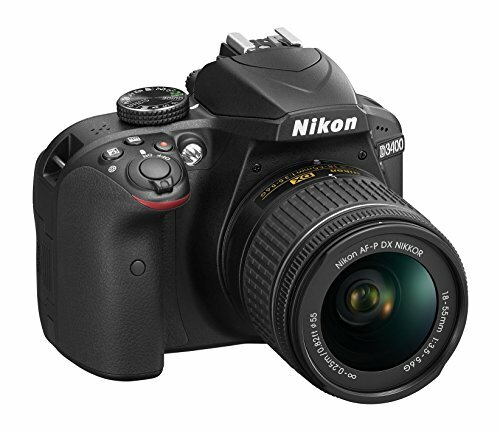 And if you don’t own a DSLR, no worries, the next section to help. 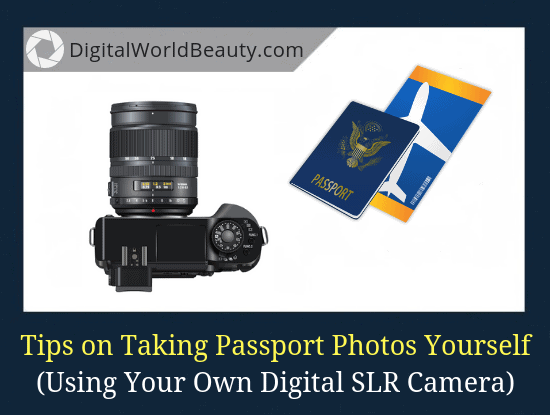 Which digital camera you need for passport photos? These cameras certainly will be easy on you and will get the results you need. Ideally, you’d want to get a 50mm prime lens with a fixed focal length. This lens will give you the best result you can get. If you are buying a Canon camera body, you get this 50mm lens. If you are buying a Nikon camera body, you get this 50mm lens. If you’re on a small budget and aren’t ready for prime lenses, then the 18-55mm kit lens will give a pretty decent result too. For passport photos will be enough. I cannot generalize the set of guidelines when it comes to passport photos because it varies from one country to another. However, almost all countries tend to adhere to some set rules, such as the background, your ensemble, exposure, accepted expressions, and the likes. Your face must be in full view, directly facing the camera. It’s required that you have neutral expression. You can wear what you wear on an everyday basis. You need to submit a recent photo of yours (within the past 6 months). The background should be plain white or off-white. Your photo can be printed on a glossy or matte photo paper. It must be a colored photo. No glasses or hats unless for medical or religious purposes (provide signed statements). You should not be wearing headphones or any other devices that are wireless. The size of the photo must be two by two inches or 51 mm by 51 mm. Accordingly, your head should be 1 to 1 3/8 inches from the bottom of your chin up to the top of your head. Here’s a source of digital image requirements (in the U.S.) if you decide to take a photo yourself. Like I mentioned earlier, this is isn’t a complicated process. Basically, you need a decent DSLR, a tripod and a well-lit room to take the passport photo yourself. There are no fusses regarding editing, complicated backgrounds, and even filters. This being said, let’s talk about tips and tricks to take a passport photo on your own. NOTE: No eyeglasses and no smile is allowed in 2019. First of all, you can just leave the settings of your camera in Auto mode. Of course you can play with some of its settings such as the white balance, exposure, and the likes but don’t go for settings that will distort your face shape, enlarge your eyes, or smoothen your skin. The photo should be as what you look like in person, as much as possible. You don’t have to buy a white background. All you have to do is to find a white or off-white wall. Make sure that this wall is also smooth, or if it is not that smooth, you can still take your picture there and post-process it at a later time. Another thing that you can do is to stick a piece of white paper or cardboard on the wall. Alternatively, you can also just hang a white cloth at your back. Natural lighting is best, so you don’t have to worry about artificial lights. In fact, you can simply take a photo in front of a window or even outside. If you really need to use artificial lights, go for fluorescent bulbs. They are great because it gives the vibe of a post-office lighting. Don’t place it too near your face because your photo might look overexposed. Just scatter the light around you to brighten up the shot. You have to use a tripod and set your camera to a timer setting. This is the case because you have to sit or stand straight in the photo. Your hands should not look like you are taking a selfie. If you don’t have a tripod, you can just put your camera on top of a stack of boxes or books. Once you take the picture that you like, you still have to edit it using either a computer software (like Photoshop) or an application in your phone. You can edit the lighting, as well as the color of your shirt but do not alter the way you look. This resource is great on teaching how to edit your photographs. Deleting a few stray hairs is good, but doing other face modifications should not be done. Also, this is when you can crop the photo based on the passport photo regulations. You are now ready to print! Use a photo paper and set the print settings to high quality so you can have a vivid picture. Keep in mind that some passport photos are laminated, or there is a clear coat applied to the top. You just have to make sure that when they do those things, your picture still looks clear. Basically that’s how you take a passport photo with digital cameras. And you don’t even need any fancy equipment too. Simply work with what you have, and boom! You were able to save a trip to a photography studio (not to mention a few bucks). 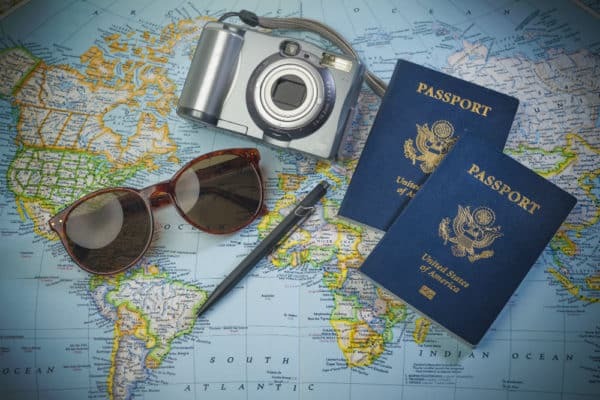 Remember that you still have to follow the passport photo guidelines because, at the end of the day, even if your goal is to look pretty or handsome in your photo, a passport photo is still going to land in a government-issued document. Any other questions on digital cameras for passport photos? Or how to take them? Let me know in the comments, I’m happy to help!